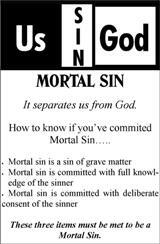 Why do we do the things we do in the name of Jesus? Father's day last year was just like every other year; I woke up to the delicious scent of breakfast being prepared (the pancakes that I love so much), along with my children standing over me trying to get me up to wish me a Happy Father's Day. After jumping into my arms, I was dragged off to our living room where I was greeted by my wife with the warmest of hugs and kisses as she hands me a beautifully wrapped gift. Hold on, wait a minute, did you actually believe that my Father's Day took off in that fashion (laughing out loud)? Actually, I was greeted with hugs and kisses, but most of the time I can be found preparing the pancake breakfast. The part of the story about the gift is also true, with one exception though; the gift was not wrapped, but I did not mind because I was overwhelmed with joy when I saw what it was. This year I got one of the best gifts ever, something that I use frequently for the work that I do as a Catholic blogger. In addition to being able to quickly research required information I use my IPad to write out my thoughts, thus the inspiration to write this article. As a Catholic blogger for the last three years, I find myself asking why am I still doing this and what prompted me to start a blog in the first place? These devices and tools have effectively assisted Catholic bloggers and Catholic media with new evangelization. Lately I have been thinking and asking myself why do I blog, what do I get out of it, and whether it's helping anyone? 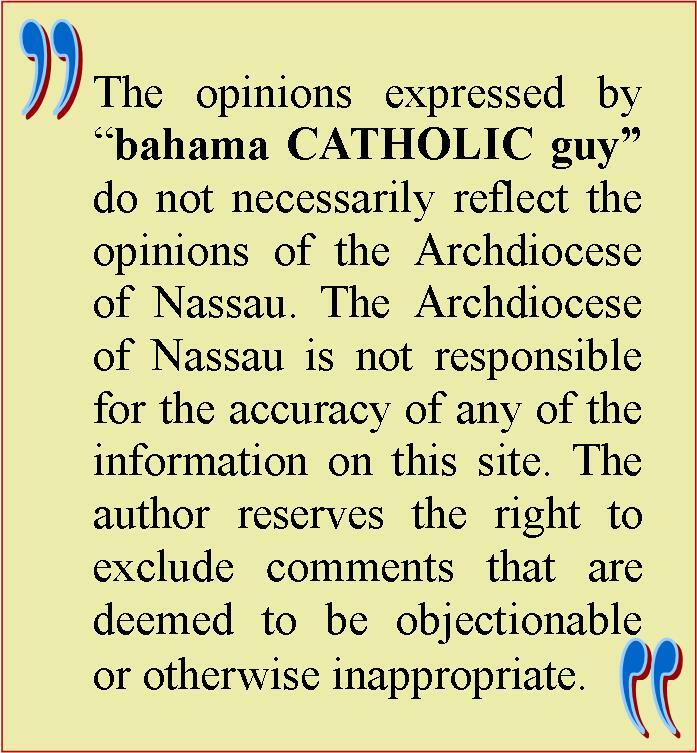 As a small country (The Bahamas) of some 350,000 people and a small population of Catholics of around 12% it's no wonder I receive little to no response from the local Catholic community. Nowadays if you're not speaking the secular language no one wants to hear what you have to say. Having gone through a traumatic experience in my life, there was a pressing hunger within to do my part in sharing my faith, invite people to seek Christ within the Catholic Church and to share the love of God with everyone. This has absolutely nothing to do with myself or my ego. I do not expect accolades or recognition for the work that I do, but I hope and pray that those who do find my blog inspiring will they share it with others. An article that you may deem not appropriate for yourself may be an inspiration for someone else. In a 2001 conference during the year of the Catechists, Cardinal Joseph Ratzinger (now Pope Benedict XVI) indicated that "we must use the modern methods of making ourselves be heard in a reasonable way, or better yet: of making the voice of the Lord accessible and comprehensible. We are not looking for listening for ourselves -- we do not want to increase the power and the spreading of our institutions, but we wish to serve for the good of the people and humanity giving room to he who is Life." It is all of our business to do our part to let Christ be seen in our actions throughout the day. The New Evangelization invites each Catholic to renew their relationship with Jesus Christ and his Church. With Facebook becoming more and more a part of everyday lives, why not use it as a means to share your faith with others. A Facebook friend said to me that he is surprised by the number of local Catholics who are on Facebook, but do not affix the term "Roman Catholic" to their profile under Religious beliefs. 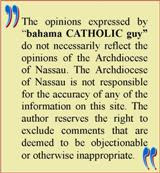 I personally make absolutely no apology and have no shame in professing my belief and affiliation to the universal Roman Catholic Church. Lack of knowledge and continuing education about our rich faith have left many confused and uncertain how to respond when our faith is challenged. Pope Benedict XVI has declared a "Year of Faith" from October 11, 2012 to November 24, 2013. With the media already buzzing about this declaration, Catholics everywhere are being asked to reflect on the Vatican II council as well as the Catechism in order that they deepen their knowledge of the faith. October 11th, 2012 is the fiftieth anniversary of the beginning of Vatican II council, while it is also the twentieth anniversary of the Catechism of the Catholic Church. So if you've been needing something to read, why not pick up the Catechism of the Catholic Church, or a book on the Church Fathers. Better yet, let us make it a point to consistently read our Bibles that we can grasp a better appreciation and understanding of the liturgy as the story is told and expressed each and every week during Mass. Even though I pay to have my site up and running (with no assistance from any organization), I do what I do because hopefully out of 100 people who may read an article on my site, there may be at least one who will find it inspiring to the point that they felt that it made them think that they too should walk the walk and talk the talk; also that they will share with someone who needs an inspiring word or two when all hope seems lost. This is why I do what I do, not for fame and glory, but for the Glory and Honor of God our Father who asks each of us to share the message with others. Mr. Knowles, I am extremely grateful for the efforts that you make in participating in the evangelization process of our people and also the impact that you have globally through your sharing and writing. 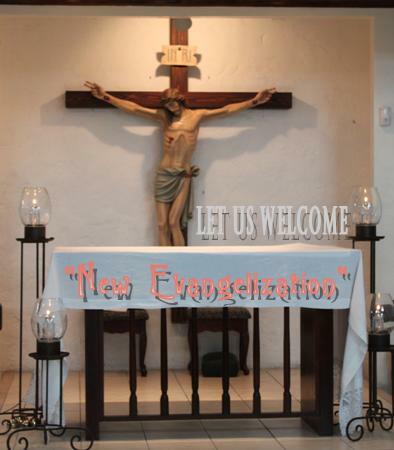 Indeed, our Catholic population in The Bahamas is small, but that should not mean that in our 'littleness' that we must be silent or lack fervor for evangelization and growth in our personal faith. Sadly, many who look on as we 'share' and 'do our part' in the evangelizaiton process can't believe that we do what we do 'just because we can do what we do.' Many look on and say, "They want to be seen" or they think that they're holy or even that we are hypocritical in becoming public about things of the faith! Dialogue within the Catholic community must begin and every Catholic has a responsibility to evangelize in whatever way that they can if they truly believe that Catholicism has merit and they wish to sustain the faith for generations to come in our land! I congratulate you on your efforts and like you, I will continue writing and publishing because if one person reads our work, we have touched one life and Jesus said,"He will leave the 99 and go after that one lost sheep." Great job, my brother-in-Christ. Do not get discouraged. That's what Satan wants! He wants us to be silent! He wants us to be afraid of the criticism of those who 'are silent' in the public arena but scathing in their private discourse about those of us who 'make an effort' and 'do our best.' Many feel that 'doing one's best' is odd because they themselves don't try! May God help us all! We all must find the courage to talk and share - to help each other remain steadfast!